An all-arounder who has made a mark because of his flexibility and intelligence, Shoaib Malik has been an asset to Pakistan cricket. He has scored runs in vital matches and been at the heart of Pakistan's ODI revival.Ever since his debut in 1999, he has batted in almost every position. Although Shoaib began playing Test cricket coming lower down the order, he was even used as an opener and proved to be an adept one. He is an intelligent cricketer who can change his batting style according to the situation. 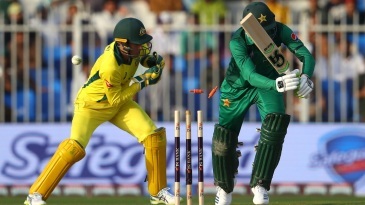 Malik can also toss up off-spinners but does not possess a very clean action and has been reported twice.As an offspinner in the modern mould, everything about his bowling, from short-stepping run-up to the doosra, bear striking similarities with Saqlain Mushtaq (though not as obviously gifted). And the action isn't clean enough - he has been reported twice at international level - once in October 2004 after which he played primarily as a batsman for the next six months, before undergoing elbow surgery to correct his action. And he was again reported in November 2005, after which he underwent elbow surgery again in early 2006. He was talked in private circles within the PCB, as a future captain before he was given the job after Pakistan's disastrous World Cup ouster in 2007 and duly responded by guiding Pakistan to a series win over World Cup finalists Sri Lanka in Abu Dhabi and reaching the final of the ICC World Twenty20. However, that was followed by Test-series defeats against South Africa and India, before presiding over a 12-ODI winning streak, a Pakistan record, albeit against Bangladesh and Zimbabwe. Against meaningful opposition, the pressure mounted on Malik to produce consistent results and a timely victory in the Kitply Cup final against India finally gav Find Shoaib Malik profile and stats of batting, bowling and fielding including latest updated news of Shoaib Malik, videos and images at Hamariweb.com. 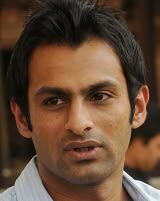 Also find detail Player profile and career statistics of Shoaib Malik of Pakistan. Shoaib Malik has talent but he is not in great form these days and thats the worst part! I want him to play good cricket and become a permanent member of our cricket team. I think shoaib Malik should announce his retirement from the international cricket because his performance is nothing in both batting and bowling. He was also the captain of Karachi Kings. Shoaib Malik is a complete all rounder because he also save runs due to his fielding efforts but the selectors ignore him for a long time. Shoaib Malik is performance well in this triangular tournament going on here in Karachi. but i dont want selectors to select him he has already gets so many chances..
Shoaib Malik is playing good in cpl, he is only good in these type of leagues, he as given enough chance in Pakistan team. we dont want him in team anymore. 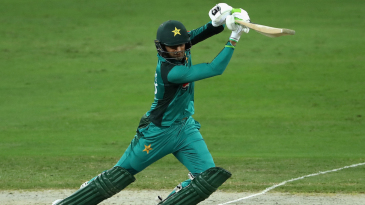 Shoaib Malik - Find Shoaib Malik of Pakistan Cricket Team complete player profile, number of matches, runs score, wickets & catches, Statistics, Records, Shoaib Malik Latest News, Shoaib Malik Videos, Shoaib Malik Photos, and other Shoaib Malik Cricket Team players.